The hack-and-slash specialists at Omega Force apply their formula to Intelligent Systems' tactical role-playing series as gamers battle hordes of foes in Fire Emblem Warriors. 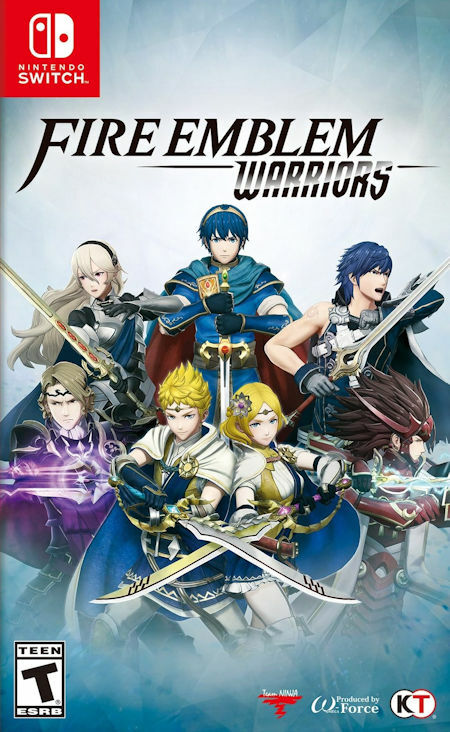 The action is set in the Kingdom of Aytolis, where heroes from the Fire Emblem series like Corrin, Marth, and Xander team up with mysterious new warriors to restore the Shield of Flames and battle the forces of the evil Chaos Dragon. As players battle through the campaign they can issue commands, pair characters to unleash powerful new attacks, and unlock new heroes, moves, and weapons.